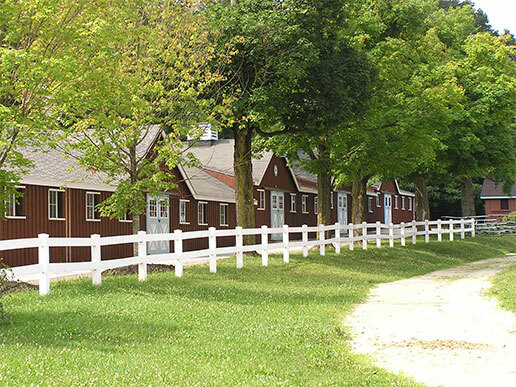 The Devon Horse Show & Country Fair facility is located on Lancaster Ave (Rt. 30) in Chester County in the heart of Philadelphia’s Main Line. It is just a short drive from Valley Forge, King of Prussia and Center City Philadelphia and within minutes of the Pennsylvania Turnpike, Route 202, and Route 476. The Devon Train Station is across the street and an easy walk from the grounds. 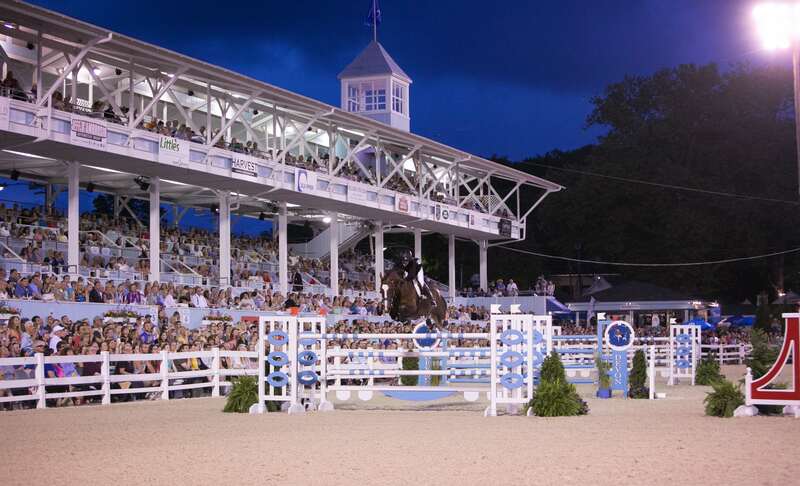 The approximately 21-acre facility includes two lighted outdoor arenas and five covered grandstands with individual and box seating for more than 3,000 spectators. 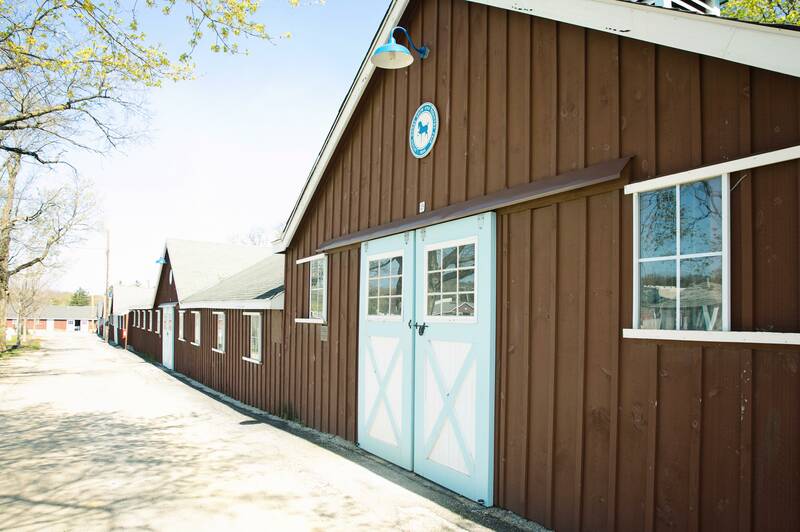 The site also provides warm-up areas and permanent barns with stabling for approximately 900 horses. Forty booths and a covered pavilion line the paths of the tree-shaded fairgrounds. The facility also provides a ticket office, an announcer’s booth, judges’ stands, a press room, and VIP areas overlooking the main arena. Men’s and Women’s Restrooms with showers are on site. There are four parking lots, and RV hook-ups are available for 20 vehicles. The Dixon Oval, Wheeler Ring, and the Schooling Area all have state of the all-weather footing installed by Equestrian Services International. For additional information on our Facility Rentals, please call 610-964-0550. Please visit The Devon Club Rental for additional information.